Logan brought a definitive end to Hugh Jackman’s time as Wolverine earlier this year, but like the comics before it, laid the groundwork for a successor to the mantle in the form of Laura Kinney, a.k.a. X-23. Now, it seems like that changeover is already in the works, according to Logan’s director. Speaking in a far-ranging interview about the impact of the movie with Hugh Jackman and James Mangold at The Hollywood Reporter, Mangold off-handedly confirmed that not just was a spinoff in the works, but he is currently working on a script—one would focus on Dafne Keen’s brutal young mutant. 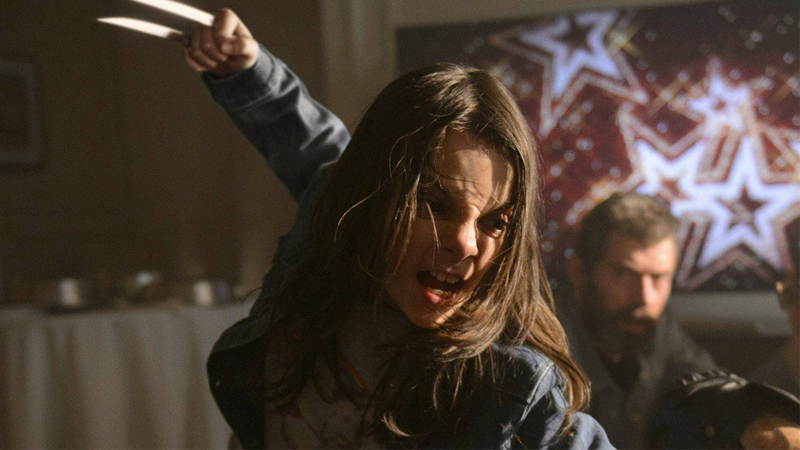 While Logan is the rare superhero project that doesn’t exist to help set up a shared universe or sequels, a spinoff is brewing (“We’re just working on a script,” Mangold says of a film that would center on Dafne Keen’s Laura). It’s the logical step for the movies. With Jackman’s Wolverine out of the picture, it makes sense for Laura to come into her own in her own movie—after all, it’s what happened in the comics in the last few years, when she took on the mantle of the All-New Wolverine in the wake of Logan’s death (although naturally, because it’s comics, he’s getting better). But on top of that, Dafne Keen was an absolute standout in a movie filled with standout moments, so the thought of her getting her own movie is great too. Even if it’s in its earliest days so far—it’s just a script, as Mangold says—it’s an exciting prospect for the future of Fox’s Mutant movieverse.